Natural Star Nani is known as an acting professional in Tollywood. Having entered the industry as an assistant director, the most wanted actor of the industry changed his track to realize his acting dreams and has become a star now. Interestingly, he is said to be making his debut into writing now. Apparently, the inside news is that Nani is going to pen the screenplay for his upcoming movie in the direction of Vikram K Kumar. 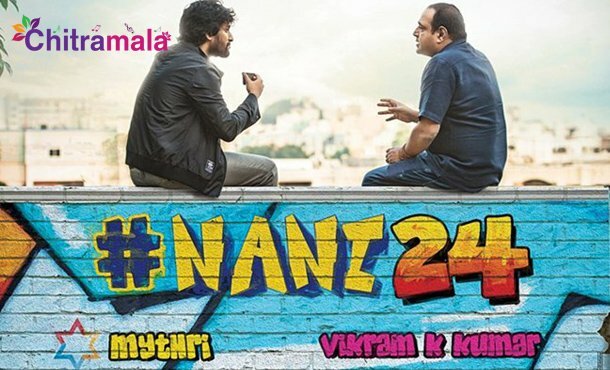 Along with Vikram, Nani would be co-writing the screenplay. This latest gossip is trending in the filmnagar but there is no official confirmation either from the actor or the production unit. The yet-to-be-titled movie is going to be produced by Mythri Movie Makers and Nani is said to be romancing six beauties in this film. The complete details of the project will be announced by the production house soon!